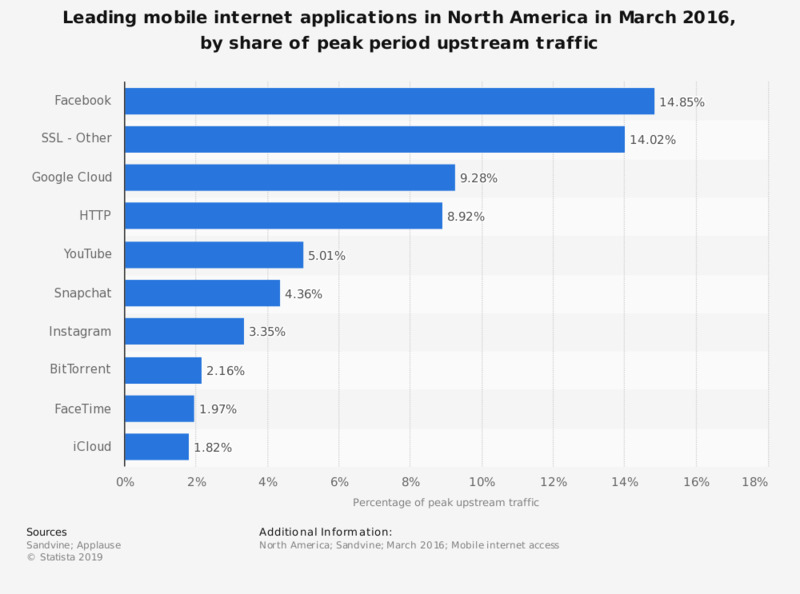 This statistic illustrates the ten most popular mobile internet applications service provider in North America in March 2016, ranked by peak period upstream traffic from mobile connections. During the survey period, Instagram accounted for 3.35 percent of peak mobile upstream traffic in North America. The ten most popular apps generated 65.76 percent of peak period upstream traffic.